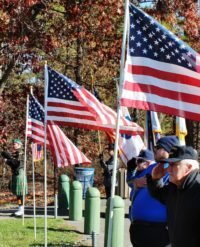 Continuing a proud annual tradition in Manchester Township, our hometown United States service members were honored during a moving Veterans Day ceremony at World War II Memorial Park in Whiting on Sunday, November 11, 2018. 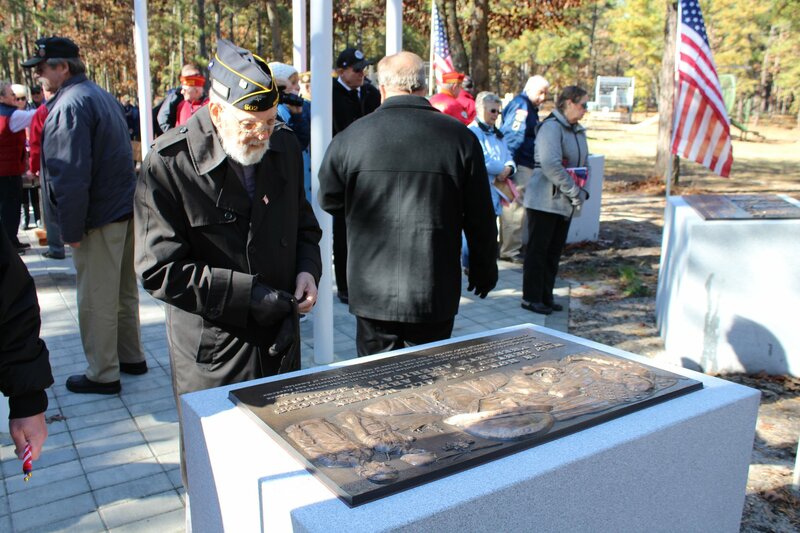 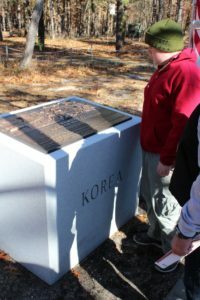 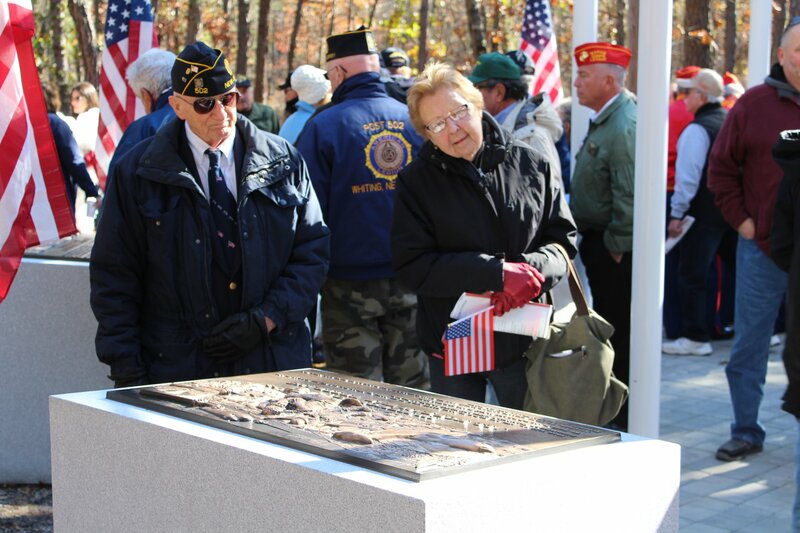 While always a special commemoration for our local heroes, this year’s event featured the unveiling of the “Honoring All Who Have Served” memorial, a project led by Manchester’s Veterans Advisory Committee. 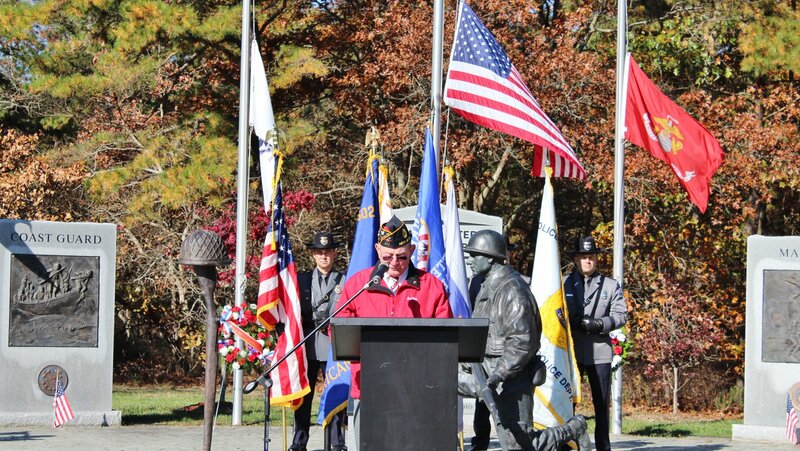 The enormous sacrifices our Veterans and their families make was honored during Mayor Kenneth Palmer’s keynote speech. 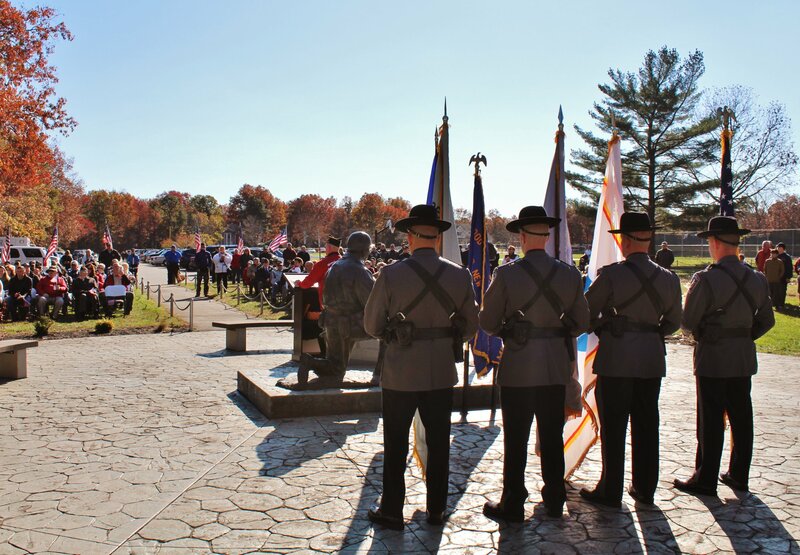 “To all Veterans and their families, on behalf of Manchester Township, we thank you. 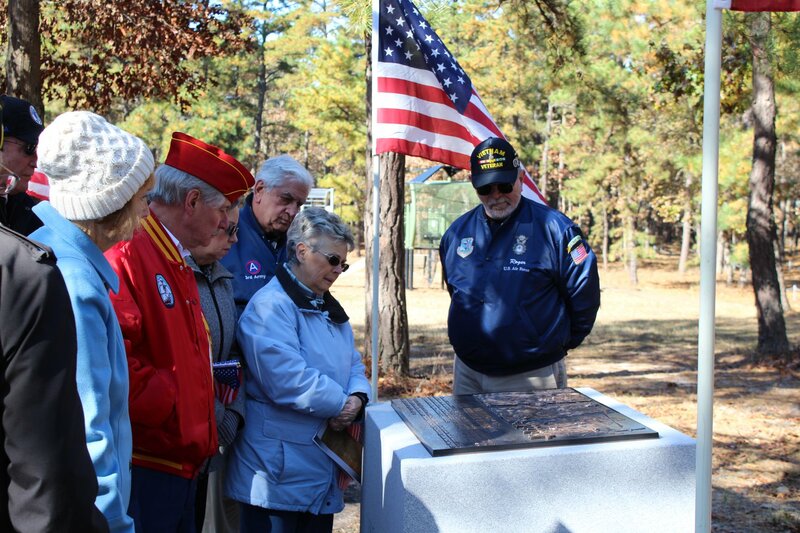 Ronald Reagan once said, some people live an entire lifetime and wonder if they have ever made a difference in the world. 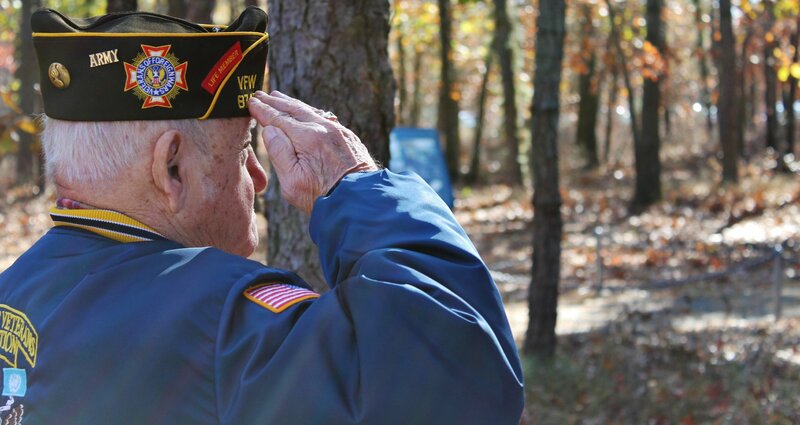 A Veteran doesn’t have that problem,” Mayor Palmer said. 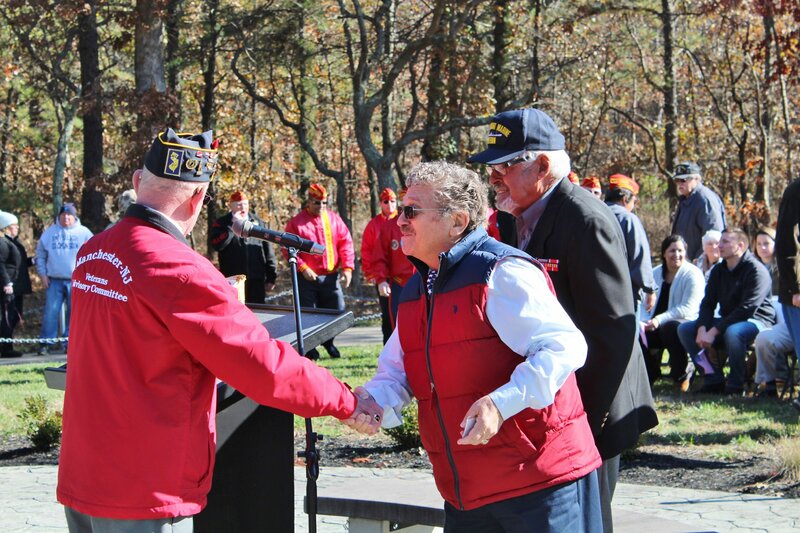 Other elected officials joining the Mayor were Township Council President Craig Wallis and Council Vice President Joan Brush. 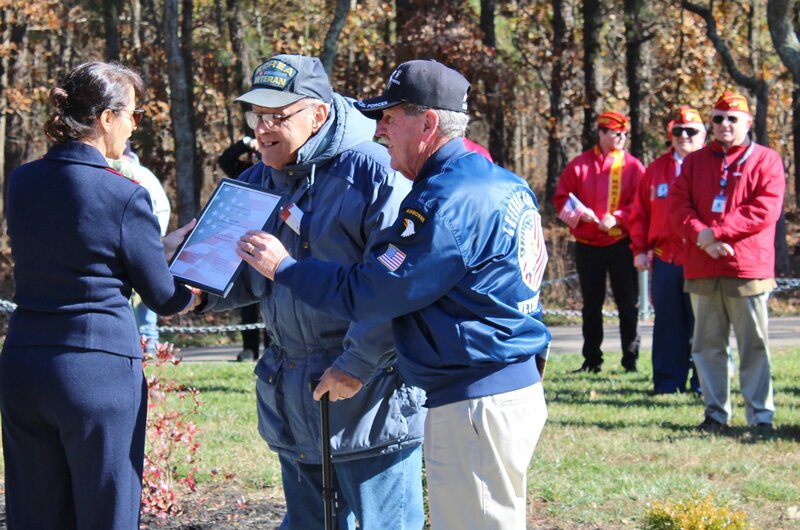 Arthur M. Wright, Jr., chairman of Manchester Township’s Veterans Advisory Committee, offered opening remarks and presented commemorative pins to the Veterans in attendance. 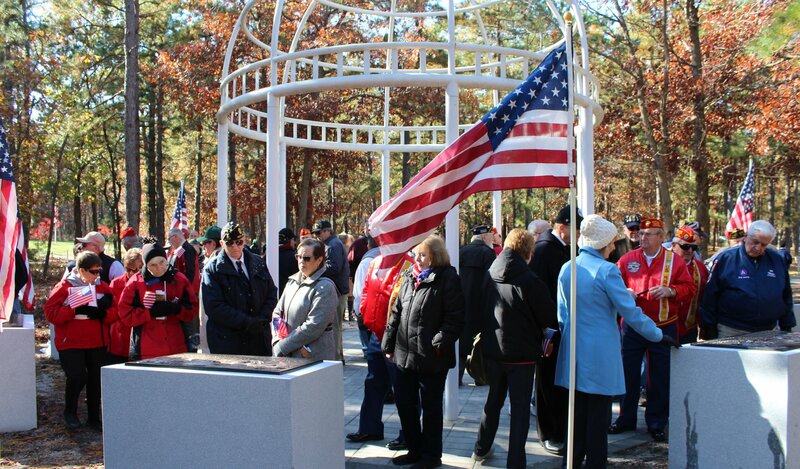 It was a moving morning of remembrances featuring performances from The Singing Raconteurs and Cassidy Gobel. 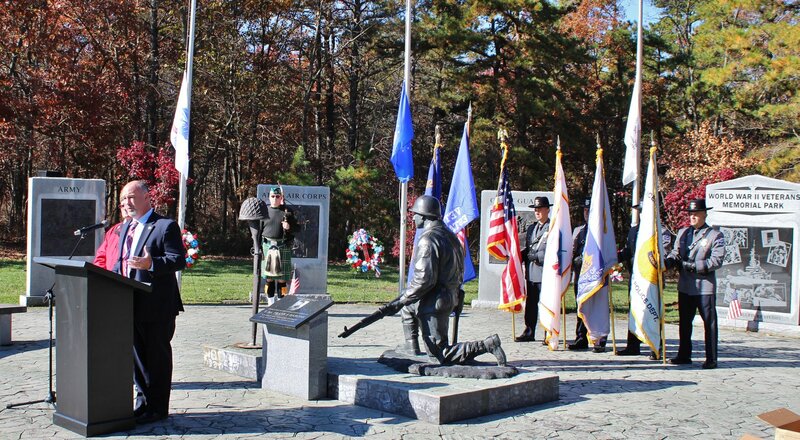 Bagpiper John Giblin provided music as the Manchester Police Honor Guard performed the Presentation of Colors. 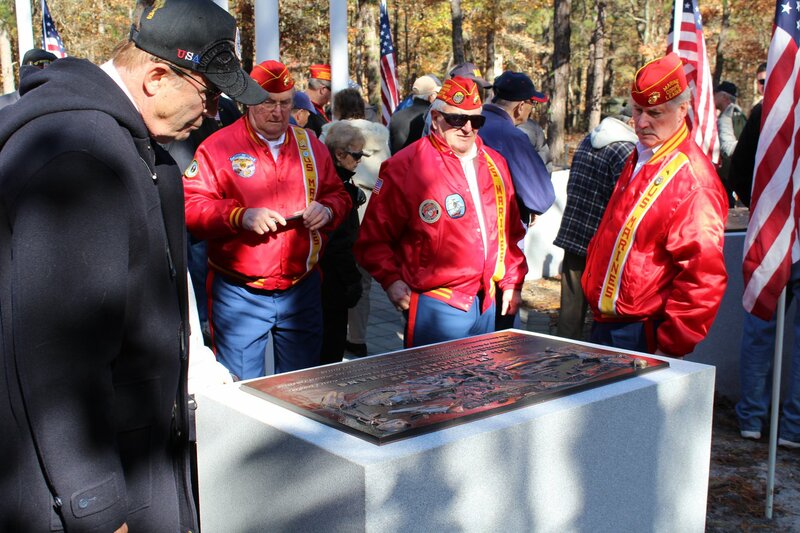 Chaplain Deacon Donald Miller offered the Invocation and Benediction, and Veterans in attendance were honored with plaques commemorating their decorated service presented by Geri Oliverie Hennicke of Oliverie Funeral Home. 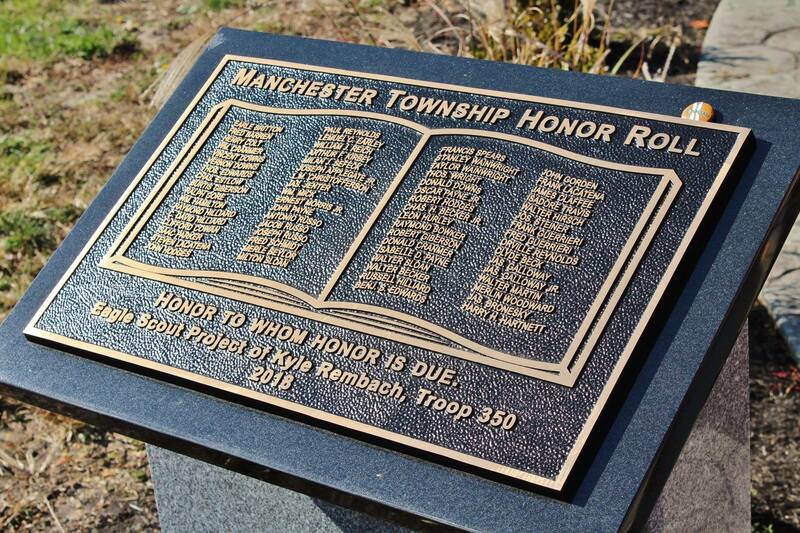 Eagle Scout Kyle Rembach also presented his Scout Project, a new Manchester Township Honor Roll plaque. 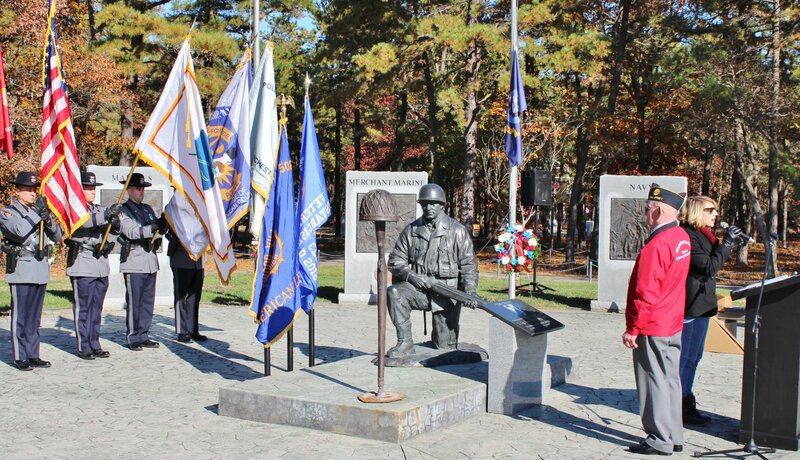 We were proud to unveil and dedicate the "Honoring All Who Have Served" monument during the Veterans Day ceremony at World War II Memorial Park in Whiting this morning. 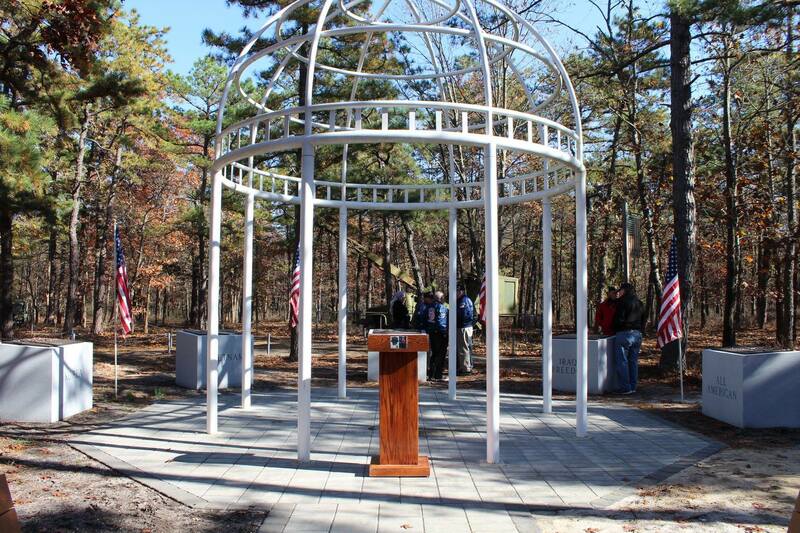 A special thank you to the Manchester Veterans Advisory Committee for their tremendous fundraising effort to secure the money needed to construct this worthy tribute to our service members. 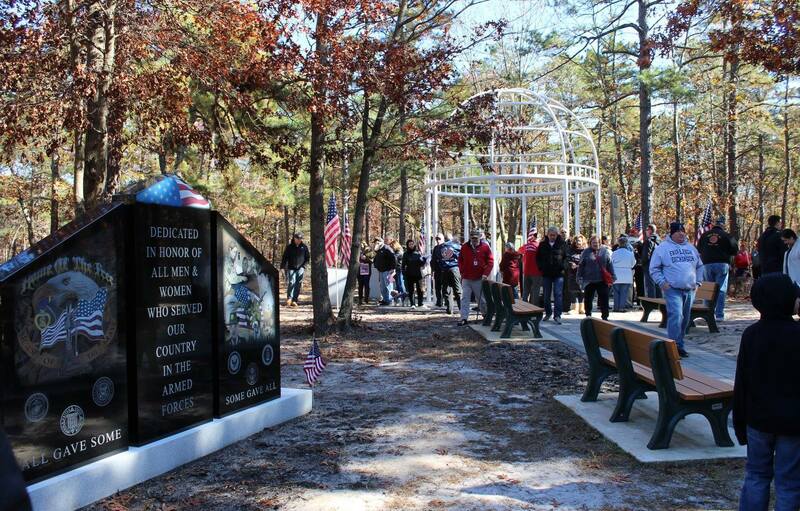 We invite all residents to visit! 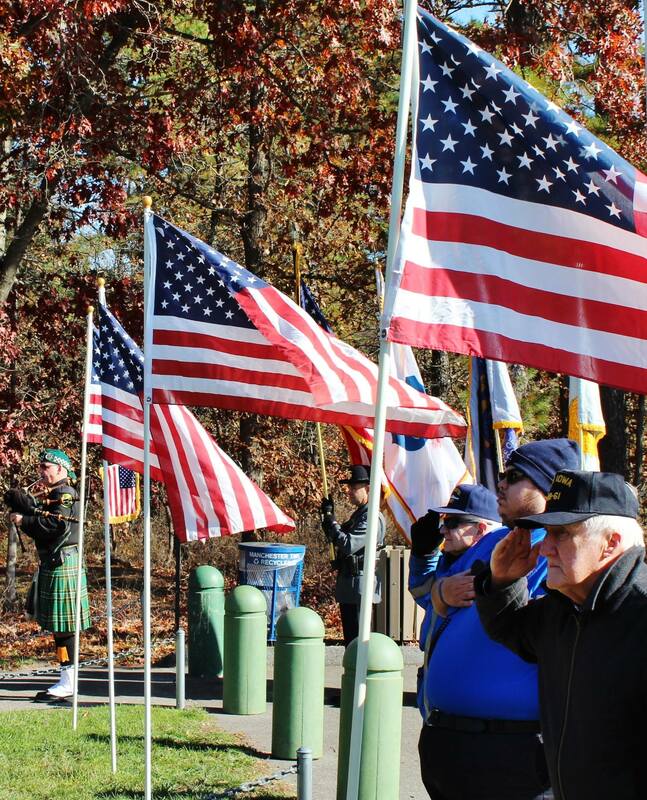 On behalf of Mayor Palmer and the Township Council, thank you to everyone who attended and participated in creating such a memorable ceremony honoring our Veterans. 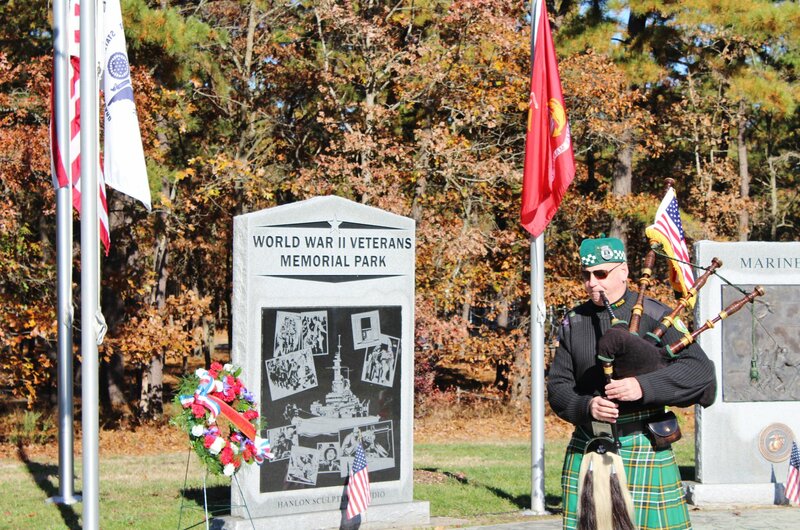 A special thank you goes to Manchester Recreation and our Veterans Advisory Committee for organizing this annual tradition. 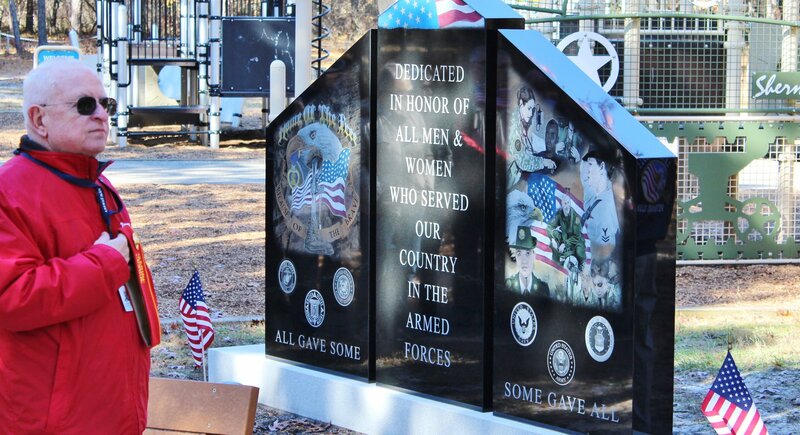 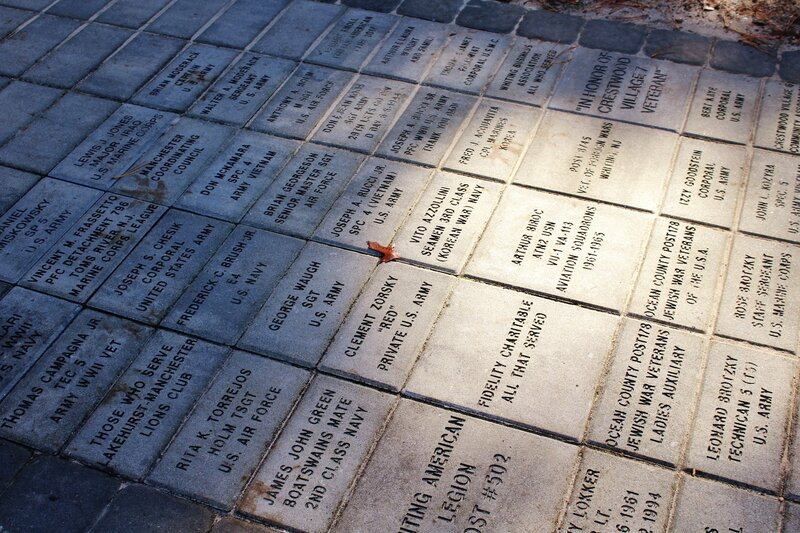 We invite all residents to take a moment to visit the “Honoring All Who Have Served” memorial, a touching tribute honoring the many brave individual who have proudly served our Country.